Greetings, Groove-ophiles! 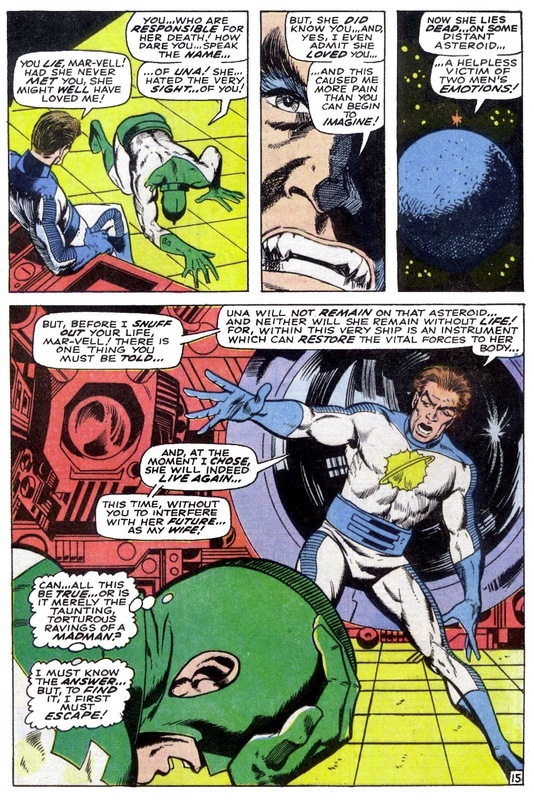 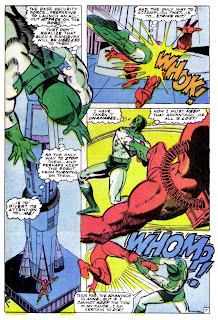 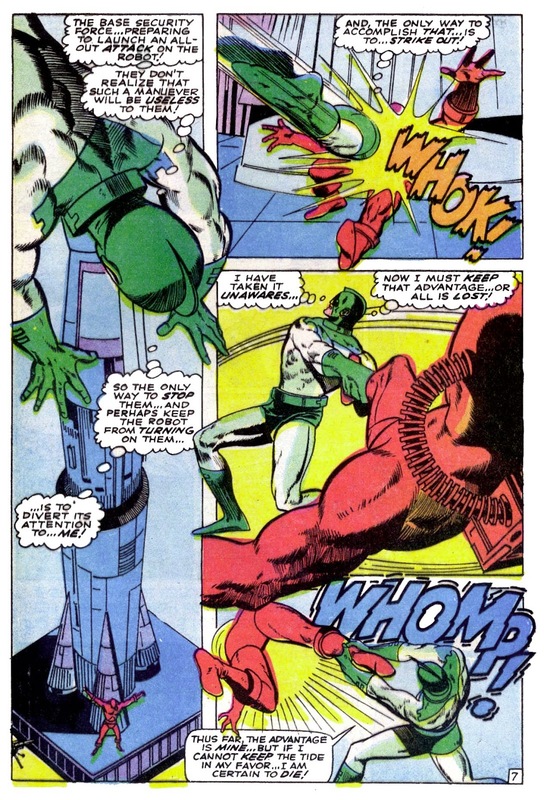 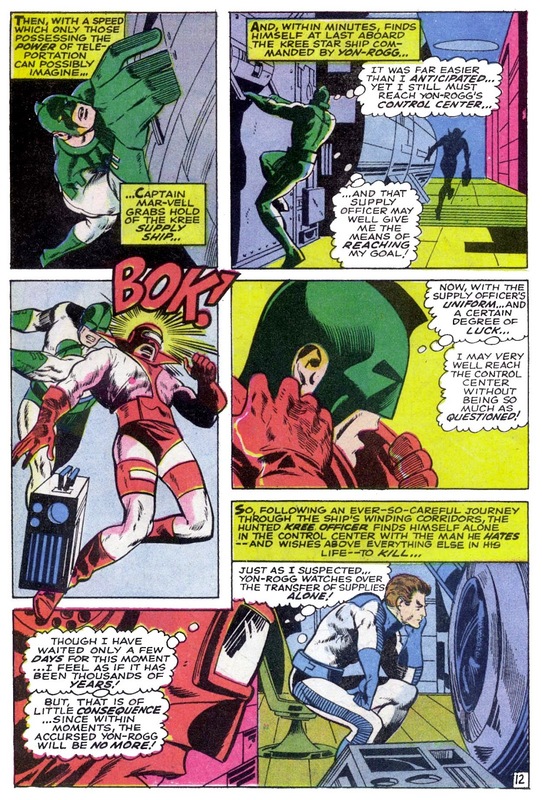 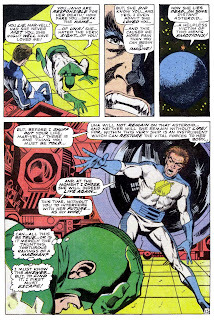 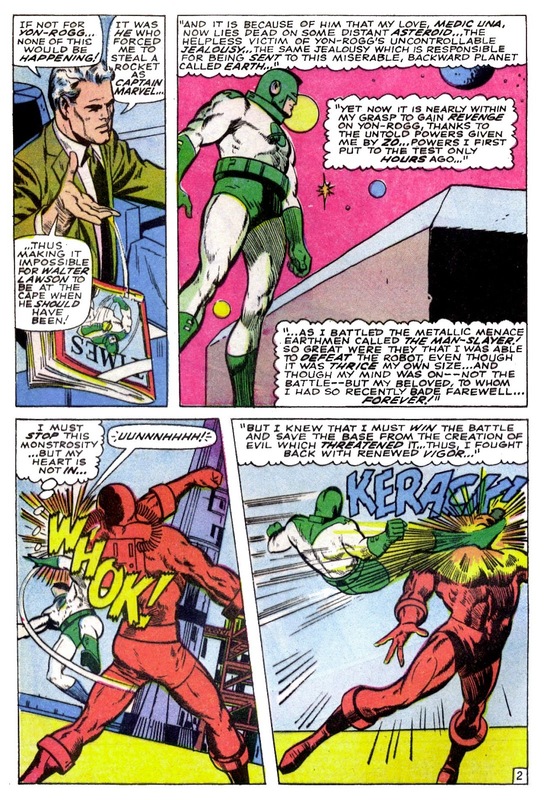 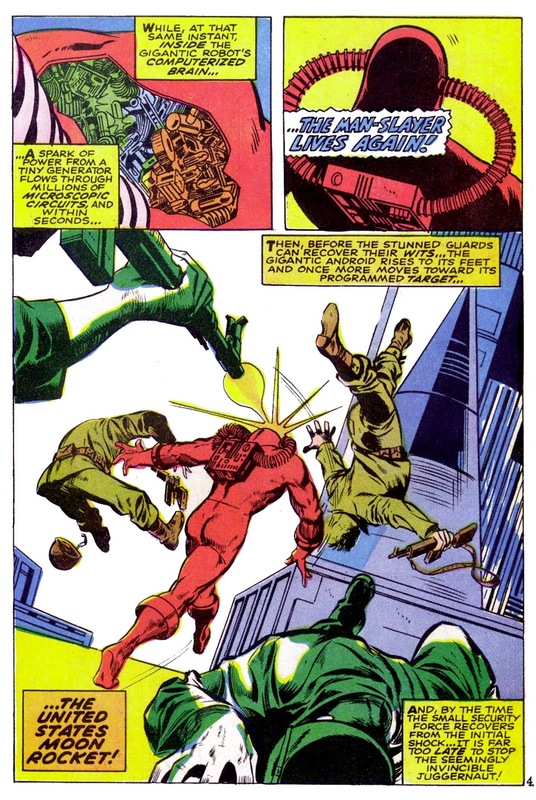 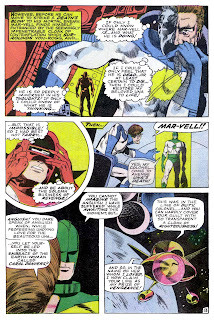 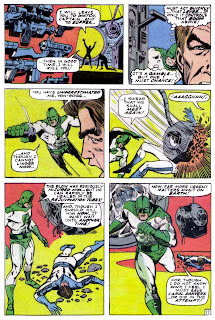 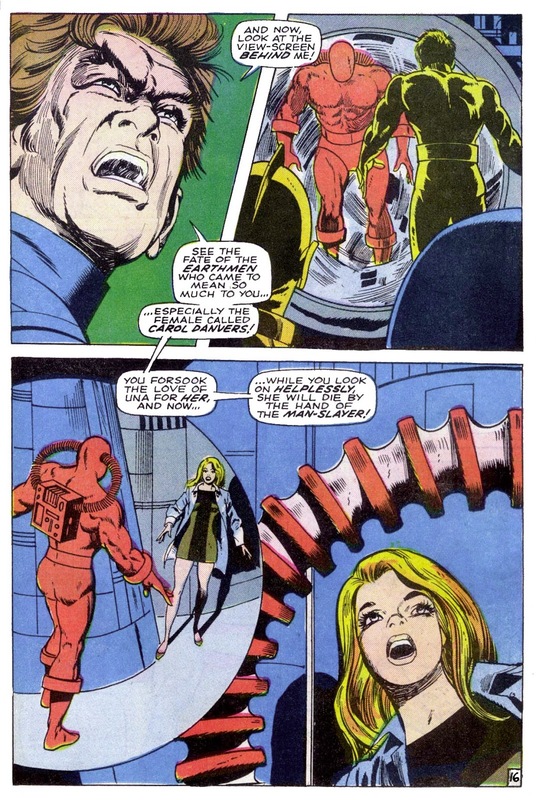 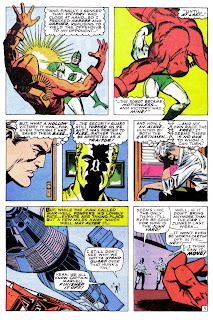 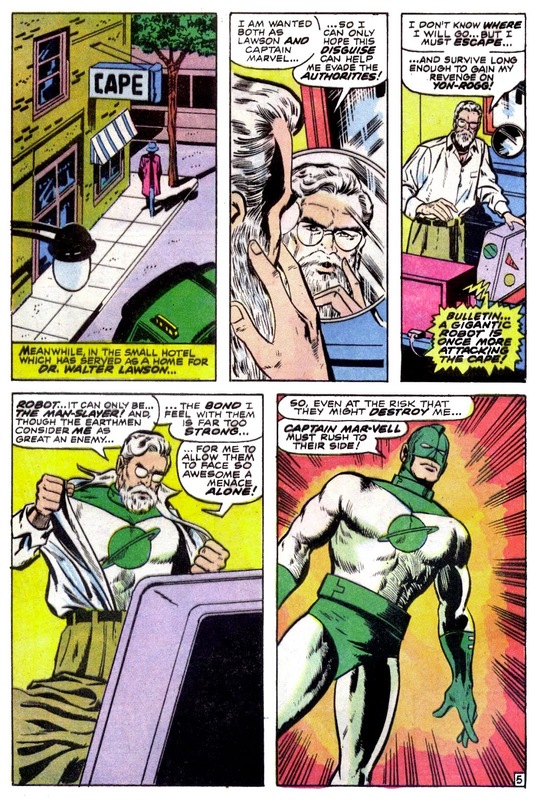 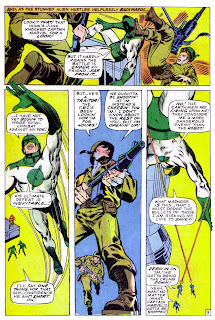 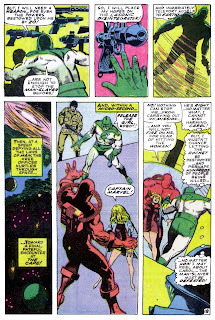 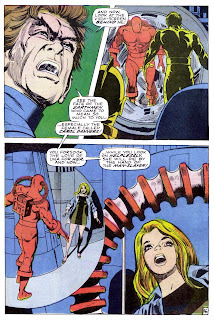 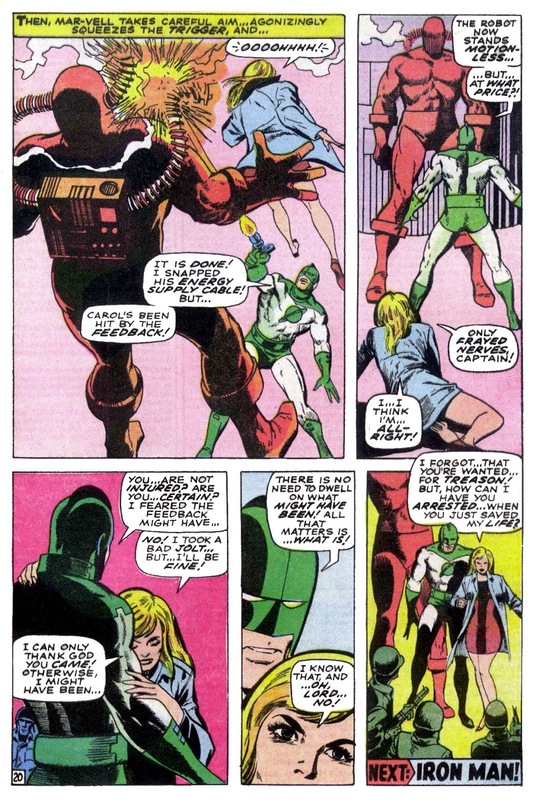 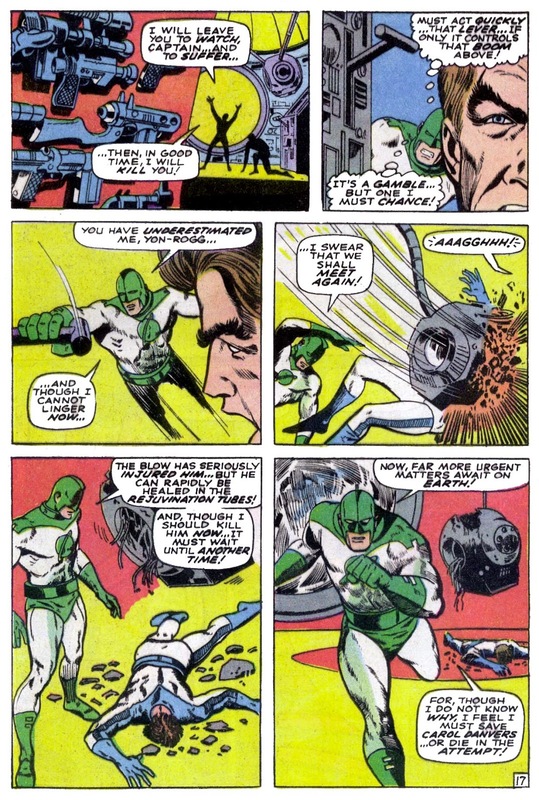 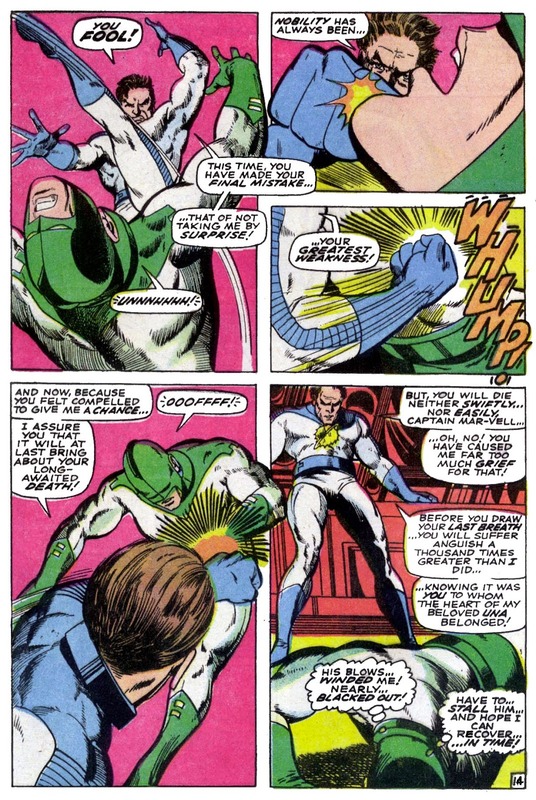 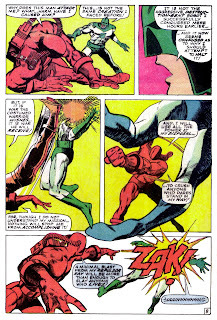 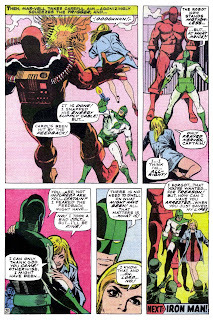 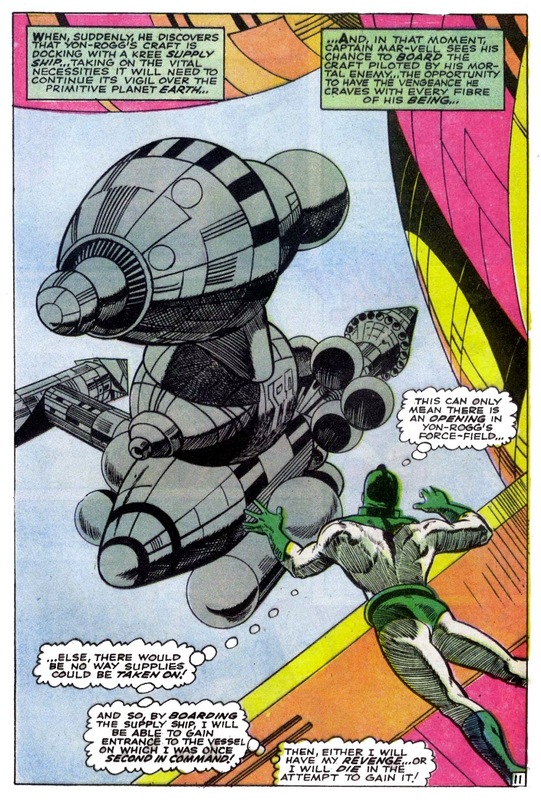 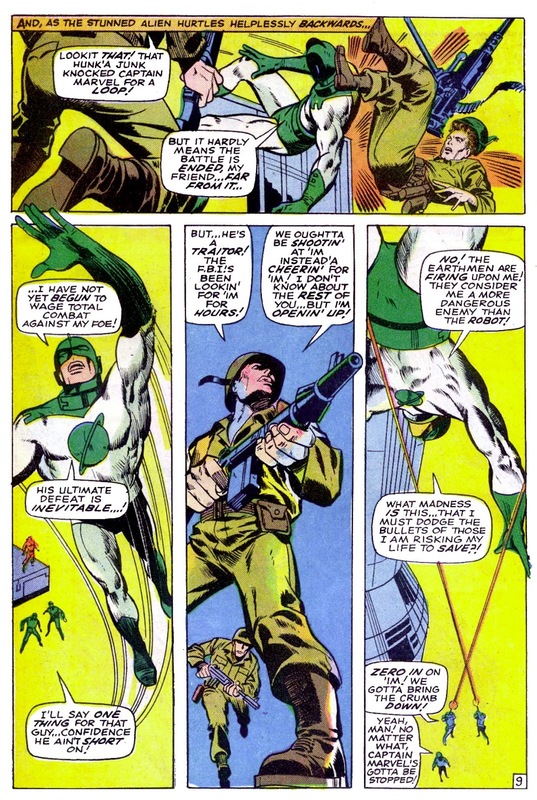 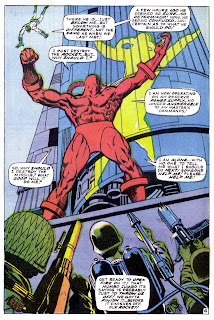 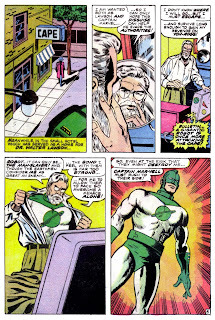 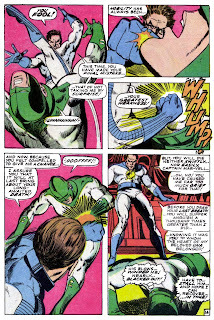 With Captain Marvel #13 (February 1969), Gary Friedrich took over the writing chores for a few issues, continuing Mar-Vell's ongoing battle with the robotic Man-Slayer. Frank Springer steps in as penciler for a couple issues, with Vinnie Colletta inking. 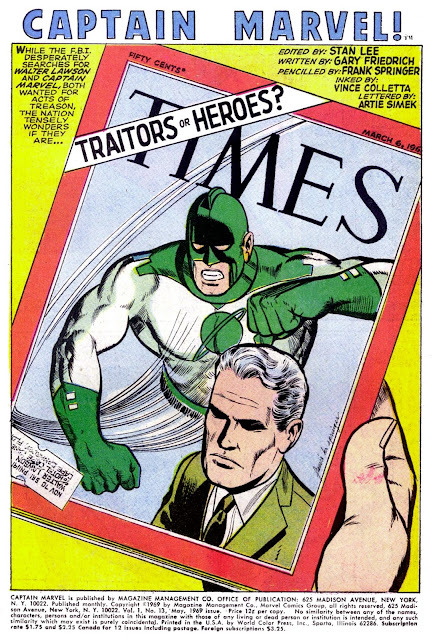 In "Traitors or Heroes?" we also get a slug-out between Marv and Col. Yon-Rogg, and Carol Danvers gets a pretty big role--as a damsel-in-distress (it would be a while before she'd become a super-hero, herself, gang). 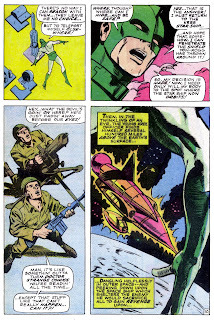 At first I groaned, "Not another post Colan, pre Starlin CM". 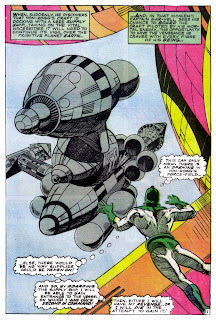 But the story and art are surprisingly good. 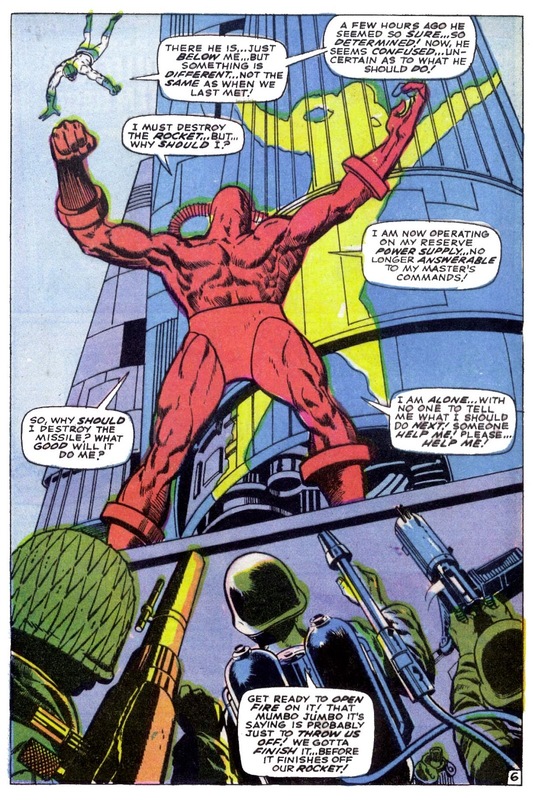 Frank Springer turned in a great pencilling job; amazing since he was such a horrible inker. 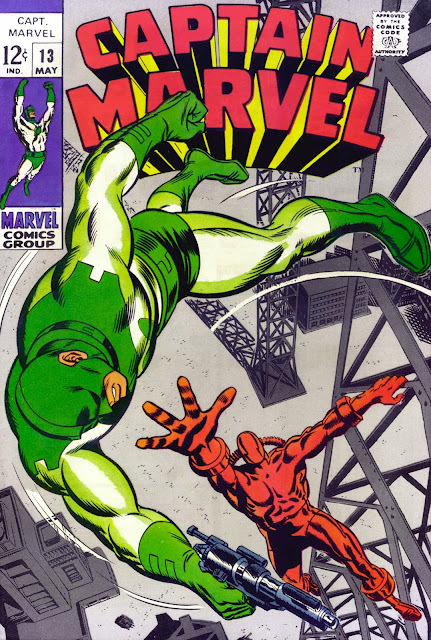 Only a few more issues of the hit and mostly miss adventures of our green suited Mar-vell before he is given his new costume and fresh bursts of creativity from some of the best in the business. Dark days for Captain Marvel during this stretch. Springer did a rudimentary job here (just look at how beautiful his National Lampoon work was by contrast) and Colletta looks like he banged out his crude, dull inks in about a day or two. 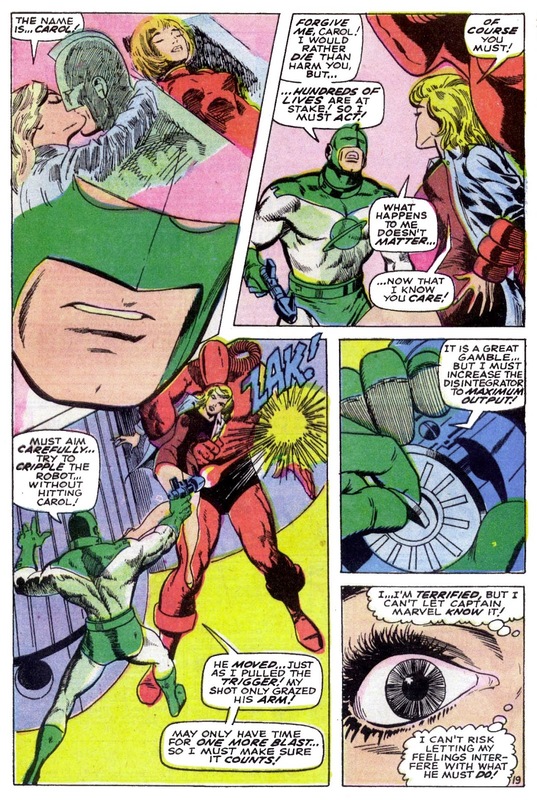 Thomas and Kane couldn't come soon enough for this title! Why was I programmed to suffer from existential malaise?"